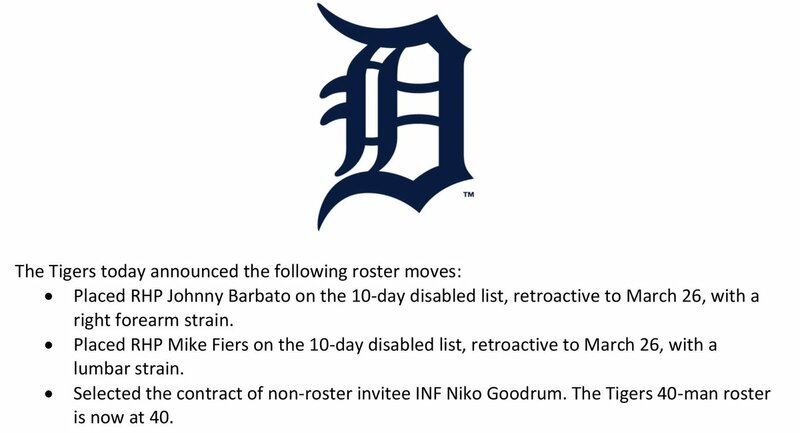 Barbato: 10 days? WTF. Deuce got paid for 2 months last year. Jim Adduci - Great kid with great talent. I taught him everything he knows about baseball. I don't know how he doesn't make this chicken **** roster. Miguel Cabrera - I love watching him play. What an amazing hitter. I wanna sit down and have a few beers with that guy. Maybe more than a few. Nick Castellanos - Has a nice bat, but fields like a ******* beer league softball outfielder. Jeimer Candelario - Pretty good talent. I played in the majors and I know talent when I see it. Has a chance to be a solid third baseman. James McCann - Kid has a nice arm, but who the **** does he think he is? Guy thinks he is too good for the Adducis. He's not what he thinks he is. Machado, Iglesias, Reyes - Little Mexican banjo hitters. They can catch the ball, but this is America, The Majors. You gotta be able to hit the long ball once in a while. John Hicks - He is gonna surprise some people. He can hit and is going to take at bats from that ***** McCann. I know hitting and this guy can hit. Did I tell you I played in the big leagues? Mikie Mahtook - I like his hustle, plays like a blue collar guy. Not a great hitter though. Not as good as he looked last year. Jimmy Jr can outhit him easily. Al Avila - Has **** for brains. What kind of a ******* roster is this? Ron Gardenhire - Tough old school manager, but has gone senile. Leaves my boy off the roster. Doesn't know talent when he sees it. I should be managing this team. Niko Goodrum - Who the **** is Niko Goodrum? He's going to get a second opinion. Deuce knows a guy. So Adduci Sr. is sportz, eh? Royals catcher Salvador Perez suffered a Grade 2 tear of the MCL in his left knee when he slipped and fell while carrying luggage in his house Tuesday night. He is expected to miss four to six weeks. He was playing too much Guitar Hero. 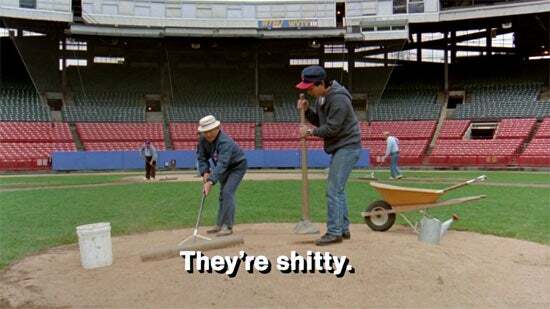 Part of me wonders if the Tigers view an ancillary benefit to fielding a ****ty team is fewer people will notice the ****ty looking outfield grass. Does that mean that Deuce is Wheat Thrower? For our prospects can we assign them secondary names like "Upton", "JD", and "Verlander"? I want to know which trade they came from. We can even do that for Bulmer, Noyd, and Borris. Like on the Sopranos they said for the cousins with the same name they referred to them by who the Uncle was. "Tony Uncle Pete" or "Tony Uncle Mario"
That is one brutal big league roster. I actually didn't mind 777. You could never tell whether he was nuts or just trolling. People like that are fun for a while. he's probably in boston with dombrowski. It's like that home-made IPA that you thought might be OK turned out tasting like quiche. Is quiche a pseudonym for compost? 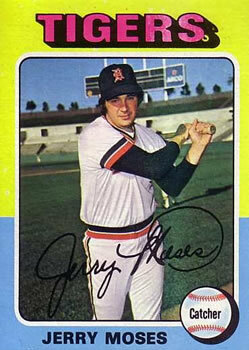 Jerry Moses played for the Tigers in 1974, batting .237 with 4 home runs and 19 RBI in 74 games as a catcher, platooning with Gene Lamont. Acquired in a three-team trade just before the ’74 season, his contract was sold to the Mets in January 1975. Also appearing in the majors with the Red Sox, Angels, Indians, Yankees, Padres and White Sox, Moses died Tuesday at the age of 71.